Chicago is a city that can take a possibly pejorative moniker like “Second City” and elevate it to a cultural touchstone. Any city that has only 3 months of nice weather better have a sense of humor and enjoy indoor activities–and Chicago does. Home to sketch, improv and drama giants, New York and Hollywood have been luring away our greats for decades. But like the leaves that must fall for an annual to rebloom, you can bet the next big act is blossoming now... quite possibly right in your neighborhood! Here are a few great shows, acts and theaters that are nearby, around the corner and/or close to home. 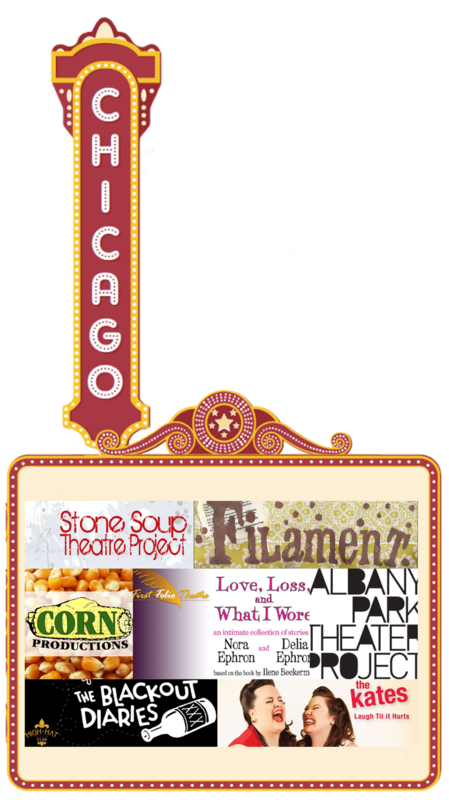 They are great examples of the #3 Reason We #ENJOYChicago–Comedy & Theater. Want us to sell your stuff? Visit us in Chicago's Lincoln Square neighborhood! Open late on Thursday Evenings for the Lincoln Square Summer Concert Series. 2011 Urban General Store, Inc.. Picture Window theme. Powered by Blogger.